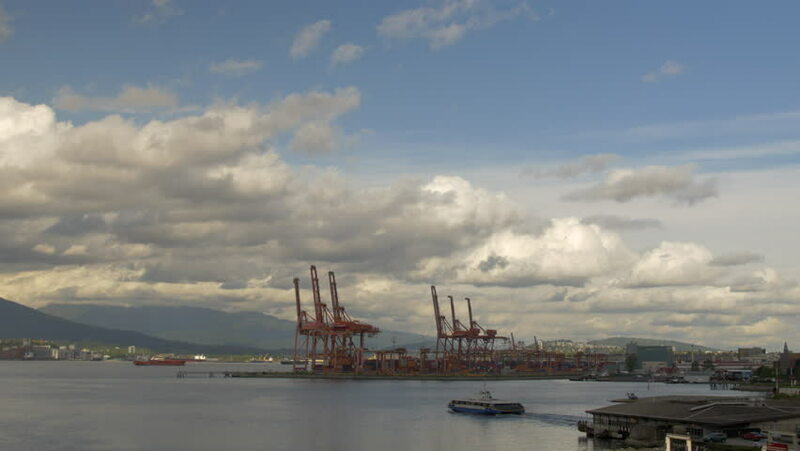 Vancouver - Harbour / Port - 24P - ProRes 4:2:2 10 Bit - UHD 4K View of the Port of Vancouver, Vancouver Harbour, Burrard Inlet and the North Shore. hd00:14New Orleans, Louisiana - June, 2011 - Large crane on a ship at Bollinger Shipyard on the Algiers side of the Mississippi River. hd00:28GDANSK, POLAND - DECEMBER 3, 2016: Large container crane at sunset in Port of Gdansk.